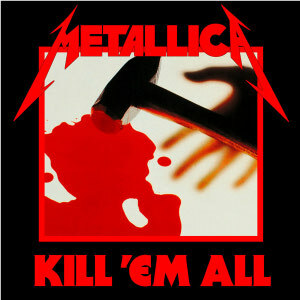 A solid debut album for Metallica with plenty of classic tracks even though it's a bit rough around the edges. The best is yet to come for the band after harnessing their playing and lyrics for the next two albums, but the band is off to a strong start here overall. Many songs from this album are still played today by the band including Seek & Destroy, The Four Horsemen, Motorbreath, Whiplash, Jump in the Fire, etc.